Indian companies are increasingly suffering huge losses due to rising cyber attacks that leads to interruption of business and loss of customer data. However, with only 100-150 policies covering cyber crime liability insurance being sold in the country, majority companies are inadequately protected against the growing menace, according to insurance companies. Financial sector that carries out financial transactions and handles cash is among the high-risk targets, but most banks in India, barring a few large private lenders, do not have cyber crime liability insurance. Industry officials said this could potentially lead to heavy business losses if the computer systems are hacked and customer data is stolen. The cyber liability insurance coverage is the lowest in the hotel and hospital sectors, which has critical data on customers, which if hacked and stolen, can have devastating impact on clients and patients, and threaten the business itself. 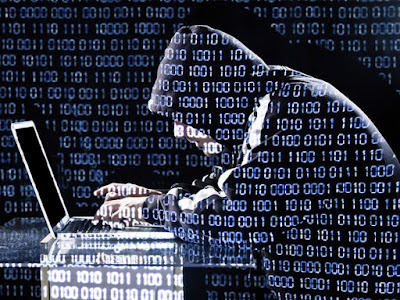 According to home ministry statistics, there have been 62,189 incidents of cyber frauds till June 2014. About 28,481 websites were hacked in India in 2013 and cyber crimes have cost India Rs 24,630 crore in 2013, according to a Delhi High Court-commissioned report. India is ranked as one of the top three targets in cyber crime. According to available statistics, about 71,780 cyber frauds were reported in 2013, while 22,060 such cases were reported in 2012. Till a few years back, OPD (out patient department) expenses, pre-existing diseases and critical illnesses like cancer and heart ailments, among others, were not covered by health insurance policies. The scenario has changed. With increasing competition, owing to a steady rise in number of players in the sector, now even pre- and post-hospitalisation expenses (including maternity expenses) and overseas treatments have come under the insurance net. And the scope is only expanding. As medical inflation, at around 15 per cent, is far higher than general inflation on account of rising hospital and medical equipment expenses, it is imperative that everyone must have a comprehensive health insurance covering all family members against major diseases. 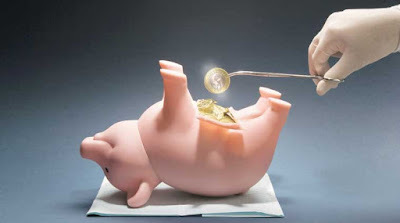 “Medical inflation is growing at 15-20 per cent because of the rising cost and medical advancements and hence customers should look to revisit their overall cover after every three years as the treatment expenses may double in four years,” said Rakesh Jain, CEO, Reliance General Insurance. He further added that while no-claim bonus may provide cover against medical inflation to an extent, a claim may bring down the overall protection cover and hence a review is needed. With the number of claim rejections by insurance companies on the rise, it is important to ensure beforehand that the policy being taken covers against a host of medical issues. While several insurance firms are currently offering products ranging from covering basic ailments to international cashless treatment policies, it is needless to say that higher the premium, the more comprehensive is the cover. Experts, however, point out that individuals must ideally go for a comprehensive health insurance policy that covers OPD, hospitalisation, pre- and post-hospitalisation expenses for the entire family. Even if an employer provides health insurance under a group insurance plan, individuals must ideally have their own health insurance that covers the entire family. Experts say that only if the company gives the option to transfer the policy after an employee quits the firm, one should consider not having a separate policy. Also, a comparison of various available policies across companies is a necessity. Most of the comprehensive policies cover critical illnesses and hence it is not required to go for an additional policy. “It is better to take a comprehensive plan and then top it up with an accidental insurance which costs very less and these can take care of almost all the issues,” said Surya Bhatia, a Delhi-based financial planner. Experts say that only if there is a family history of a particular disease, one should go for a critical illness cover separately. It is better to bank on a plan that provides the benefit of family floater where the bulk of the cover can even be utilised by one person in the family. In policies without family floater, a Rs 10 lakh policy is split equally among the family members covered. So, for a family of four, each individual will have a cover of Rs 2.5 lakh. However, in case of floater the cover is not equally divided among the family members. 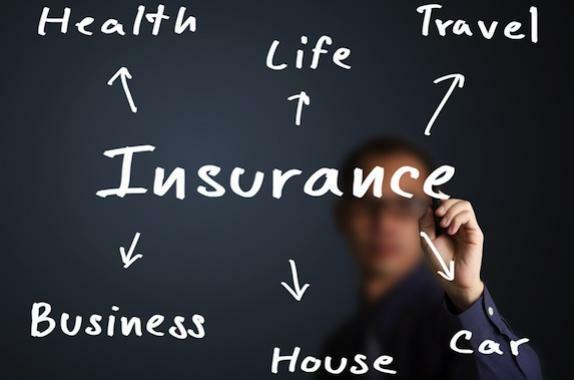 This feature allows an individual to reinstate the basic sum insured, in case he has already exhausted the basic sum insured and multiplier benefit during the policy year. Market experts, however, say that the restore benefit is not available on the same ailment where the limit was already exhausted. While the third-party administrator (TPA) is supposed to act as a facilitator at the hospital, experts say that many times they raise unnecessary queries which delay the entire process. It is always better to purchase a policy of an insurer who has in-house settlement desks rather than doing it through a TPA, as it also expedites the entire process. 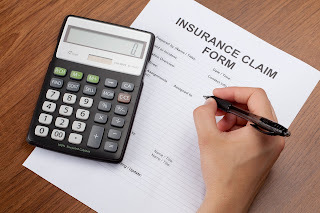 Generally, if there is a year where the individual has not made any claims against his policy, there is a no-claim bonus provided by the insurer. Experts say that one should check on the quantum of no-claim bonuses as they range from 5 per cent to as high as one-third of a basic cover. A high no-claim bonus may cover you against the medical inflation on its own. If you have a pre-existing disease then your insurer will not provide you cover against it at the time of buying the policy. 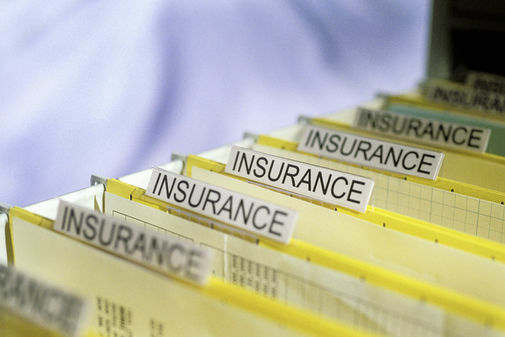 Depending upon an insurer, the pre-existing disease gets covered at least after two years. While some allow it after two years, others may take four years to do so. Portability is allowed among health insurance companies and one can move a policy to another insurer if he is unsatisfied with the services of the current firm. Experts say that consumers should use the facility to their advantage. “It allows you to carry the benefits (such as no claim bonus) accrued over the period with the previous insurer to the new insurer. The premiums, however, may vary depending upon the features of the new policy,” said Vishal Dhawan, founder, Plan Ahead Wealth Advisors. Experts also say that portability should be planned and be done at least two months before renewal of a policy. While several health insurers provide the annual free health check ups, experts say that it comes at a cost and the price is always embedded. Therefore, only who are keen on getting annual health check-ups should only go for it. It is also important to see if an insurance policy that is renewed every year covers for one’s entire life because the longevity is increasing with improving medical technology. While many policies cover you for your entire life, there are some that only cover till 75-80 years. A number of policies now provide cover against several day-care procedures in hospitals that does not require overnight stay. One must look at the number of procedures covered that does not require overnight hospitalisation. Also, if one is planning a baby, he should ensure that the maternity expenses are covered by the policy. Experts feel that maternity is not a contingency and if someone is not planning for a baby, he/she should not look for it as the price gets embedded in the premium. It is important to start early so that one can save a lot on the premium amount over the term of the policy. For an individual between 21 and 25 years, a Rs 10 lakh cover comes at an average premium of around Rs 10,000- 12,000 per annum. However, for a 35-year-old, the premium jumps to around Rs 15,000-18,000. While all these features can make a policy stand out and make one deal with any medical contingencies, it is important that the cover is adequate. Experts say that to start with, a family should go for a basic cover of around Rs 10 lakh as most medical issues can be treated within that limit. Who's to Pay Anti-Trust Penalty Imposed on State-Run Insurers? The penalty of Rs.671.05 crore imposed on four state-run insurers by the anti-trust panel for manipulation in the bidding process for the Rashtriya Swasthya Bima Yojna (RSBY) of Kerala has raised a curious question: From where will the money be drawn for the fine? While the Competition Commission of India imposed the penalty on National Insurance, New India Assurance, Oriental Insurance and United India Insurance, the question is: Will it be drawn from the funds of the shareholders of these non-life insurers or from that of policyholders. The regulator stipulates that fines imposed by it are to be debited to the shareholder fund and not on the policyholders. But the current debate is over penalty imposed by the anti-trust ody over malafide means in selecting service providers for the Kerala's insurance scheme over three years from 2010-11. The matter was taken up by the anti-trust suo moto on receipt of anonymous information against the four companies. The allegation was that the four companies had indulged in anti-competitive agreements including bid rigging. 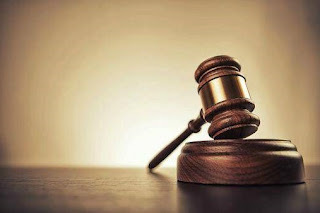 "The commission noted the impugned conduct of these companies to have resulted in manipulation of the bidding process in contravention of the provisions of section 3(1) read with section 3(3)(d) of the Act," the CCI said in a statement. While imposing penalties, the commission noted that the present case related to bid-rigging in public procurement for social welfare schemes, the beneficiaries of which were below the poverty line and poor families. Accordingly, it was taken as a more serious offence. The Indian promoters have to take a haircut since their companies have lost money from the time they were set up because of the losses those companies have incurred. It is a painful process and it has made life difficult in some of the largest insurance companies. Keki Mistry, CEO, HDFC and on the board of directors of HDFC Ergo, said that the company “has the ability or the option and agreement to take the stake to 49 per cent based on the valuation which would be done by two independent valuers. My sense is that … the process may take a little while because these things take time, you have to revise shareholders agreement, look at valuation and all of that”. This is where the problem simmers. If the foreign venture were to use the market route to bring additional capital, they would need some data on valuation. But to decide on the valuation the companies would have to agree for listing in the market. The chunk available for the Indian partners to offer would be only 2 per cent, if they wish to retain 51 per cent of holding with themselves. Anything more and the control would pass to the foreign venture just when the market is looking up, hardly an appetising idea. There is a possibility that some of the better performing companies could still pick up the gauntlet. But here it is the foreign investor which plays spoilsport. Some of them want the division to happen at the old valuation rates without the market coming into play. The only way for the respective percentages to work and yet leave some gravy on the table for the Indian promoters was if the rules for valuation of the insurance companies were to be relaxed. The most plausible way out this could happen would be for the Reserve Bank of India to offer a leeway for the Indian partner on the fair valuation rules. Life Insurance Corporation of India, the country’s largest insurer, has decided to issue digitised policies, after resisting such a move for some years. 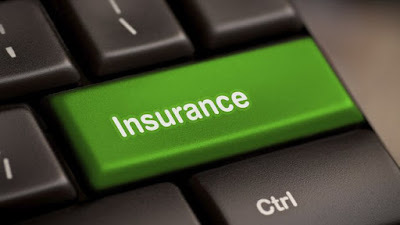 India First Insurance launched the first digitised policy in September 2013. Less than two per cent of the policies sold in the country are in electronic format. LIC was not keen due to the costs involved, apart from the fact that external technology was being used to digitise. Now, LIC has finally become part of the e-insurance process, where policies will be digitised through repositories. S K Roy, LIC chairman, told that after several discussions, they’d decided to go ahead in this regard. An insurance repository is a facility to help policy holders buy and keep policies in electronic form, rather than as a paper document. These repositories, like share depositories or mutual fund transfer agencies, would hold electronic records of policies issued to individuals. These are called 'electronic policies' or 'e-policies’, held in an electronic insurance account. It is also being proposed that all high-value policies be mandatorily in digitised form. Different insurers will have different arrangements with each repository but, on an average, the cost of digitisation could be Rs 75-80 per person. There is also an annual servicing fee of Rs 500-900. These costs will be borne by insurers. Insurers have been engaged in active campaigns to highlight the importance of holding insurance in a digital format, which protects a policy document from damage or loss, leading to possible claim rejection. The sector regulator's estimates suggest Rs 150-200 per customer is spent by a company annually in maintaining policies in physical form. The digital initiative, pushed by the Insurance Regulatory and Development Authority of India, is expected to save at least Rs 100 crore a year for the sector. Premier services can also be offered, on an annual or per service basis. These include a premium dues calendar and online premium payment facilitation, premium history and claims history, acceptance of service requests for onward transmission to insurers and tracking systems for service requests or grievances. Each user can have an authorised representative for account. 1. What is a cash back plan? Ans: It is a basic life insurance plan in which a policyholder gets money back at regular intervals; while securing his family from the good and bad times of life. The plan is,especially designed to help customers plan their future goals such as buying a house, paying for child’s education, planning a family vacation etc., as they progress in life. The plan not only ensures payouts at regular intervals to meet specific needs but also provides an assured maturity payout to secure the life. 2. What are the significances of a cash back plan? 3. What are the key features of these plans? The plan also helps customers plan for every joyous moment of their life through guaranteed payouts at regular interval throughout the plan term. An additional loyalty bonus is paid to the customer on maturity of the plan. 4. How does the plan help to meet the changing needs of the client? Ans: Small or big – we all have goals in life; to go somewhere, to become somebody, to achieve something. These goals depend on multiple factors like our age, family status and aspirations at different stages of our life. Although these factors are unique to the needs of each individual, there are some aspirations that we all have. Life is not only about planning for the future but also about living in the 'here and now'; meeting short and medium term milestones with equal aplomb as meeting your long term goal of a comfortable and tension free future life. Be it your first car, your home, your child's education or wedding. We require a regular inflow of cash to meet these short and medium term goals ensuring our family's happiness. A cash back plan ensures you are always able to fund those special moments – both during as well as after the maturity of the plan. 5. Are there any tax benefits involved in the plan? Ans: One is eligible for tax deductions up to Rs 1,50,000 on premiums paid under most of Cash Back Plans as per Section 80(C) of the Income Tax Act, 1961. One gets full tax benefits on the maturity amount. One also gets tax benefits on the withdrawal amounts. Death benefits are also tax-free. 6. What kind of people should look forward for the plan? Ans:This plan is suitable for anyone who wants to prepare for future goals/ milestones in life. This is a simple, non-participating endowment plan, which helps one plan for crucial life events on the back of guaranteed pay-outs at regular intervals during the plan term as well as maturity pay-out with accumulated guaranteed additions (added to the plan annually). Pocket News Alert publishes Press Releases from various verticals like Business news, Technology news, Entertainment news Etc. Pocket News Alert is updated daily with the latest press releases and news articles. Life insurance companies will find it almost impossible to reject claims in future because of an amendment to a provision in the Insurance Act that allowed companies to call into question polices taken years ago. In the past, lifeinsurers could avoid liability if they could prove that there was mis-statement or non-disclosure of material facts in the insured's proposal form. Life Insurance Corporation (LIC) chairman S K Roy said, "There will be no scope for rejecting claims now. With the amendment to Section 45 of the Insurance Act, the entire investigation process has been scrapped. The amendments have far reaching consequences as there is total immunity to the policyholder." Insurance companies will, however, settle only a single claim under the Prime Minister's Jeevan Jyot Bima Yojana (PMJJBY), which aims to cover all bank accountholders for Rs 2 lakh, subject to an insurance premium of Rs 330. The Life Insurance Council — an association of life insurers — is preparing a database of all those covered under the scheme in order to run a de-duplication process to weed out those who have bought more than one policy. Compared to most life insurers, LIC has a lower rate of rejections. With the amendment, the number may go down further. According to data released by the Insurance Regulatory and Development Authority of India (IRDAI), the claim settlement ratio of LIC improved to 98.14% during the year 2013-14 compared to 97.73% during the previous year. The percentage of rejections was 1.10% in 2013-14, remaining almost at the same level (1.12%) as of the previous year.